World Rugby confirmed on Monday that France will host the 2018 edition of U20 Championship next summer. The tournament has been spread across 19 days and will be hosted in three cities with Stade Aimé Giral in Perpignan, Stade de la Méditerranée in Béziers and the Stade d’Honneur du Parc des Sports et de l’Amitié in Narbonne as the venues. Defending champions New Zealand have been pooled in Group A that has Australia, Wales and Japan while England will join Scotland, Italy and Argentina in Pool B. Pool C will comprise of the host France along with South Africa, Ireland and Georgia. The top team in each pool along with the best runner-up will qualify to the knock-out stage. 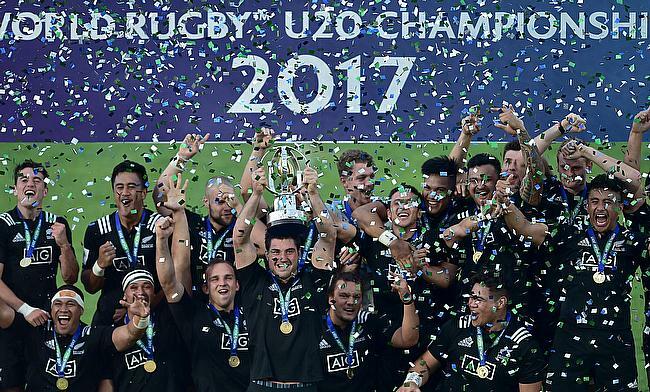 World Rugby Chairman Bill Beaumont stated that the U20 Championship will be a perfect platform for the young talents to put themselves in the frame for senior level selection especially with 2019 World Cup around the corner. "The World Rugby U20 Championship is a proven finishing school for aspiring international players, with some of the biggest names in the game having graduated amongst a group of more than 550 internationals, including double World Rugby Men’s 15s Player of the Year Beauden Barrett. "Following the success of Georgia, which broke all social media records, we are delighted to be heading to France and the rugby cities of Narbonne, Béziers and Perpignan. "I am sure that the championship will capture the imagination and it will be fascinating to see who graduates to Rugby World Cup 2019 in Japan." The tournament will be played on 30th May followed by 3rd, 7th, 12th and 17th June.